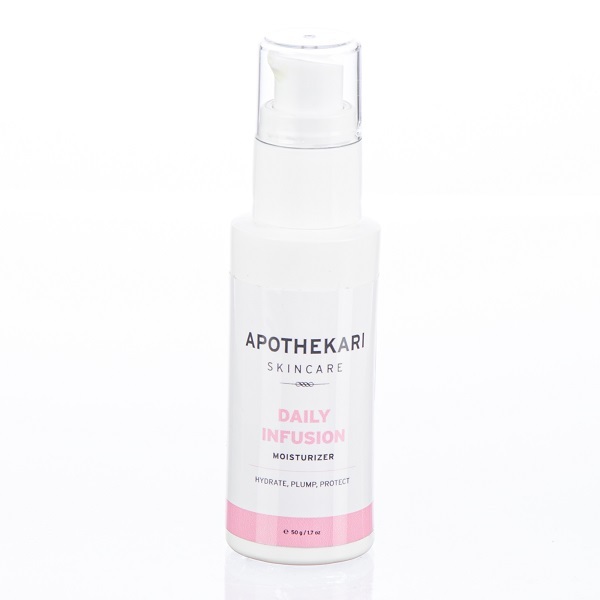 I use the Apothekari AHA-Mazing Cleanser and the Daily Infusion Moisturizer on a daily basis. The face cleanser is gentle, but thorough. It smells great and does not leave my skin tight. You don’t have to use very much – a little goes a long way. The moisturizer is one of my favourite products. It is super light and non-greasy, but really hydrating. It doesn’t clog pores or feel heavy as the day goes on. Both are “go to” products for me. For a little indulgence, I use the Bamboo & Lemongrass Body Polish once a week – beautiful smelling, exfoliating and skin softening. I highly recommend all three.